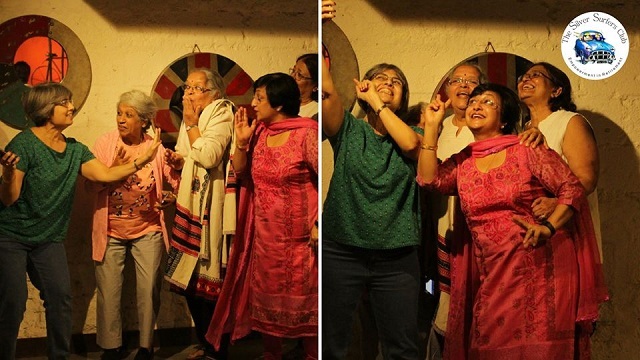 What started as a social experiment to improve the quality of life of senior citizens, today has become a 'life' in itself for over hundreds of retirees or senior-citizens, giving them a space to fulfil their bucket lists'. The members of the virtual 'The Silver Surfers Club' spend time in community service, travelling, entrepreneurship, acting and rekindling their yesteryear passion. With his wife passing away a few years ago and children settled abroad, 60-year old Dileep* (name changed) said he dreaded the thought of going alone for a movie or even a restaurant to enjoy a meal. "I am regularly in contact with my children, they do love me a lot. But even at my age, I need to fight loneliness and find a good purpose in my life. Here I find a lot of people coping with the same kind of anxiety, stress, having a similar passion and wanting to stay socially connected," Dileep says. 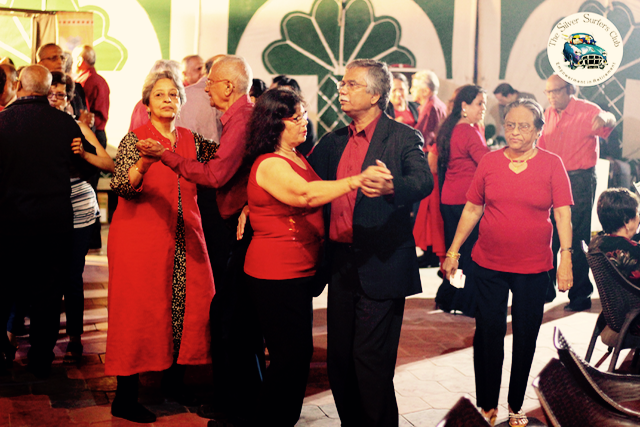 Founded in 2014 by ex-marketing professional Dipti Varma Narain in Bengaluru, The Silver Surfers Club (TSSC) wanted to create an exclusive space for people over the age of 55 interested in pursuing their passions. "Like my own mother-in-law, who wanted to market her homemade specialities like pickles (later branded as Naani's), I realised there were other senior citizens who had talent but lack opportunity and platform,” says Narain. Then aged 32, Narain floated the idea of TSSC with five elderly members and found that many above the age of 55 wanted to join. In 2016, Narain quit her former job and completely immersed herself in TSSC's social entrepreneurship. "The ideas or activities of the club are organically generated, based on what the members want. We have several verticals with TSSC that provides the platform for the 'silver's', to keep their passion alive," she adds. According to Narain, a lot of elderly people feel out of place with the tech-savvy generation. Though seniors are desperately trying to bridge the gap when it comes to technological know-how, it still becomes a race in which the youngsters are always miles ahead. "As a modern community, we have still not started talking of ageing, discussing on the stigmas, loneliness of the elderly - which we need to do at the earliest," she points out. She adds that the biggest worry of TSSC is elderly men who find it difficult to cope up with old age since all their life, they have been told by the society not to express emotions. "Men mostly attach their identities with jobs and responsibilities. The moment they retire, they feel that their identity is taken away from them. Things get aggravated when their spouses pass away and they slip further into depression since they don’t express themselves, unlike women," she says. In its 4 fours year of existence, the group has already made trips to Vietnam, Cambodia, Sri Lanka, Bhutan, a road trip to Goa and as we read this article, the ‘silvers’ are en route Dalhousie-Dharamshala and Amritsar. “Most of our members are keen travellers, but they either are not confident to book tickets on their own, or the destinations they want to go are not in sync with the family's interest. The members are also wary of travelling with strangers and are apprehensive of booking trips with tour-operators. But here, we all know each other," says Narain. In December, the group plans to visit Africa and go to Japan in early January next year. At Bengaluru, TSSC has already organised an acting workshop and staged a play by the name ‘Older and Bolder.’ Karaoke nights, dinners, ‘Silver Bazaar’(an entrepreneurship mela that sells food, crafts and items prepared by the members) book clubs, movie clubs and brunches hosted to keep its members together - these are some of the events organised by TSSC. Keeping their health and agility into consideration, the group also recently hosted dance classes for the members. The group also organizes talks on health, organ harvesting and wealth management. "Writing a will is emotional for many of them. They are scared of hurting their children's feelings. Most of them do not know how to write their inheritance. We get subject experts to counsel them to help them overcome such apprehensions and make them more open-minded," says Narain. Mostly centred around Bengaluru as activities are centred around the city, the group charges an annual fee of Rs 3,540. However, the members are not just Bengalureans but include virtual members from Delhi, Mumbai, US, UK and Paris. 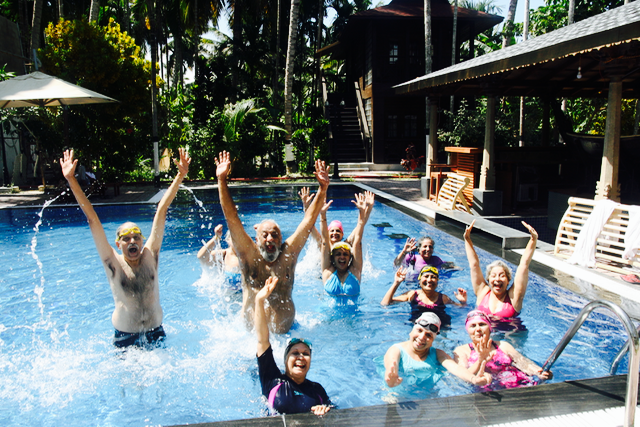 "Especially with the medical advancement, a lot of people are living longer and it is our effort to help them out to figure what they need to do with their 20 additional years and have a lovely sense of fulfilment and a sense of empowerment," Narain adds.